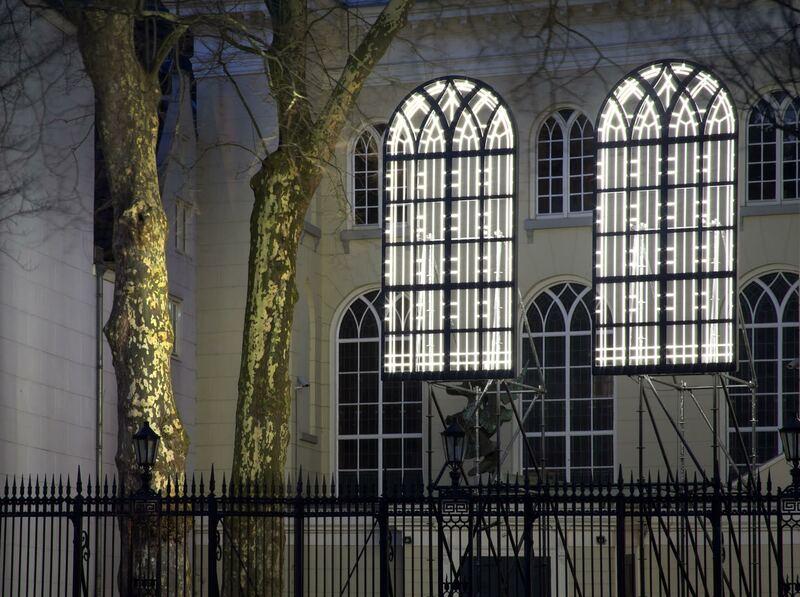 Lynne Leegte’s installation Windows (2017) is an extension of the window art of the 17th century Baptist Singel Church located just behind it. Like today, religious freedom was under pressure in the 17th century. In the relatively liberal, Calvinist country of the Netherlands, people practicing other religions (including the Mennonites) had to hold their services in ‘shelter churches’ like the Singel Church. These churches could not be recognized as such and were often located in houses or barns. After centuries, Leegte puts the modest Singelkerk in the forefront again, and makes religion part of public life in the city. 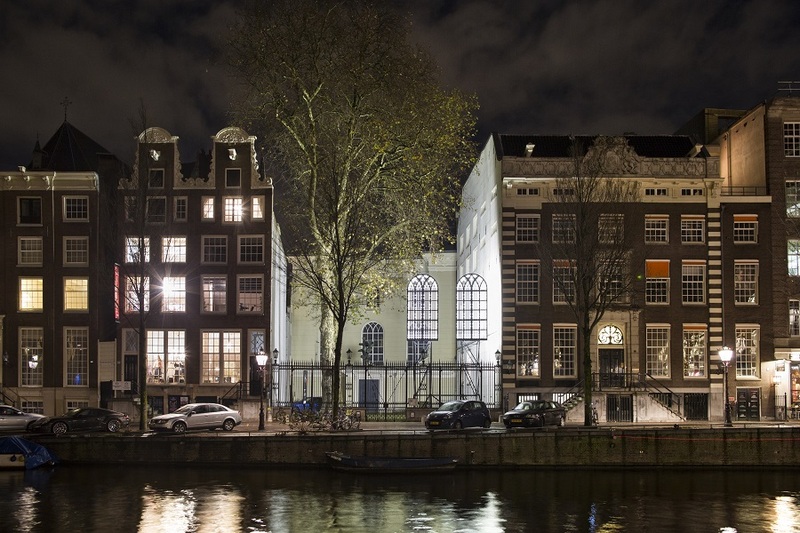 The radiant light from the windows makes the building a beacon of warmth and security in the dark night. Leegte did not choose three windows, with which she would represent the holy trinity in a traditional way, but she chose to make two. This way, the work fits in with the cadence of the surrounding canal houses (which in most cases also have two windows next to each other), but also refers to a set of human eyes. After all, it were people who built the church, and who made so much effort to come together in their shared convictions. Artist Lynne Leegte (1965) has been making dreamy sculptures, photographs and installations since her graduation from the Groningen Art Academy Minerva. Her work is often related to (the transient nature of) the human body, and depicts for example individual body parts, mirrors, handkerchiefs, books and letters. Textures and spaciousness in her work are emphasized with soft light and evoke associations with the paintings of Dutch master Johannes Vermeer. For her latest photo series, titled Rooms, Leegte photographed empty rooms in which daylight that streams in becomes a subject in itself.